to Haiti in the next few days – First & only So. Fla. LGBT leader to do so. supplies, food and other much needed items for the people of Haiti. food, and many other needed items. Ambient features writer, Vanessa Brito, accept an advisory role with the response crew currently on the ground in Dominican Republic and Haiti. 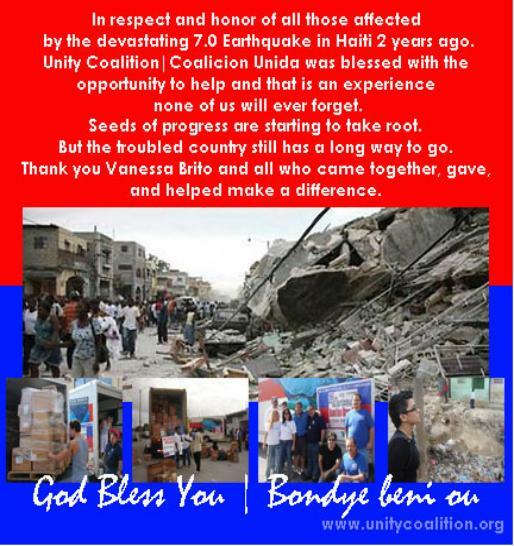 Brito will be the first & only South Florida LGBT leader to make this important gesture & trip to Haiti. UC|CU president and Ambiente editor, Herb Sosa. myself & the Neat stuff family. When catastrophic events as this occur, they not only affect those living through it, they affect all of us”. leadership on issues that concern LGBT (lesbian, gay, bisexual, transgender) Latino|Hispanic and other minority groups across the U.S. www. neglected and other children in distress, allowing them to dress with pride and dignity, inspiring their self worth. offered free of charge, and distributed digitally around the globe to thousands of our readers. work. Text the word HAITI to the number 90999 to donate $10 to Red Cross relief efforts. It'll show up on your phone bill. Or donate online at RedCross.org. and treated 263 patients in 2 days under less than optimal conditions. extremely fortunate to find just that in the Mission Ranch. visits from American clinicians, generalists and specialists. an enormous crisis and need our support. and appropriate. 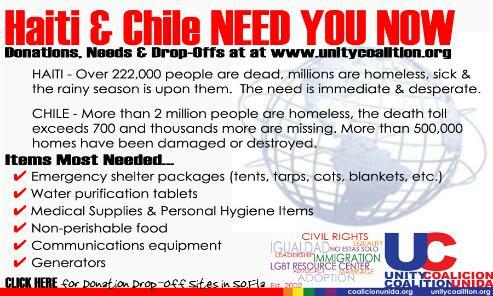 Please help to provide an organized LGBT community-wide response to this human catastrophe. Contributions can be made online by clicking here. "LGBT Community Response to the Crisis in Haiti Fund" and paste it into the "Purpose" box. Donations of materials and supplies are also very much needed and being excepted. ligar para um número gratuito especial para fazer a doação: (877) 572-4484. Organization aims to build 100 emergency houses for the families affected by the 7.3 Richter scale earthquake that occurred in Haiti. the relief effort in Haiti. donate to visit its special relief website called www.PanAmericanRelief.org. Also, U.S. citizens wondering about family in Haiti can ring the U.S. State Department's American Citizen Services line at 1-888-407-4747. Project Medishare, Miami, brings medical care to northeast Haiti. Make a donation at projectmedishare.org; 305-762-6448. Agape Flights, Venice, Fla., services American missionaries throughout the Caribbean with supply flights, the next scheduled for Thursday. sponsored chiefly by the Homeless Voice. miles to take medicine to children and adults in remote villages. poor health care and HIV infection rates two to three times higher than the rest of the country. funding comes from UNICEF and countries such as Japan and Taiwan. they have spent $60,000 of their personal savings. others who have families to care for them, according to Hyacinthe Cross, manager of the home. Dare to Care is the HIV/AIDS program of Mustard Seed Communities, a Catholic charity that houses 45 HIV-positive children in two homes in St.
children still face discrimination if their HIV status is revealed. It is the only recognized orphanage specializing in HIV orphans in Jamaica. prevention, and provide medical care for women in Haiti, the Dominican Republic, Jamaica and Guyana. It is funded by private donors and U.S.
government agencies such as USAID, the National Institutes of Health, and the Centers for Disease Control and Prevention. International non-profit operates St. Helene, an orphanage for orphaned, abandoned and disadvantaged children in Port-au-Prince, Haiti. outpatients. The group has announced plans to open a free hospital in Port-au-Prince this month Dec. 2006 and offer HIV/AIDS treatment . GHESKIO works closely with agencies such as UNAIDS and the Pan American Health Organization. Robert Penette, her Haitian husband, in 1996.
on behalf of the American Red Cross. are still missing or injured. disasters, such as when Hurricane Katrina impacted the United States. scale larger than the Japanese Red Cross can typically manage. 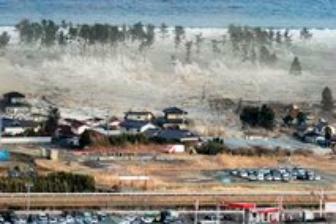 earthquake and tsunami. Donate here. food items and shelter. Donate here. and are identifying the needs and areas where Convoy of Hope may be of the greatest assistance. Donate here. other affected countries to assess needs and coordinate our activities. Donate here.